Since February, the focus of Ebenezer School has been teaching, completing term tests, and for the teachers to finish their syllabus' before the annual exams coming up. The teachers have been preparing and correcting the annual examination question papers, filling in grades for each student onto their report cards. As summer is getting closer, the teachers are also working on getting the students ready for the next grade, and making an individual introduction for each of their students in the fall. In the beginning of March, the Holi Festival began. It's a celebration of love and happiness, and is typically expressed with enthusiasm, energy and lots of colors. Ebenezer participated in this celebration. 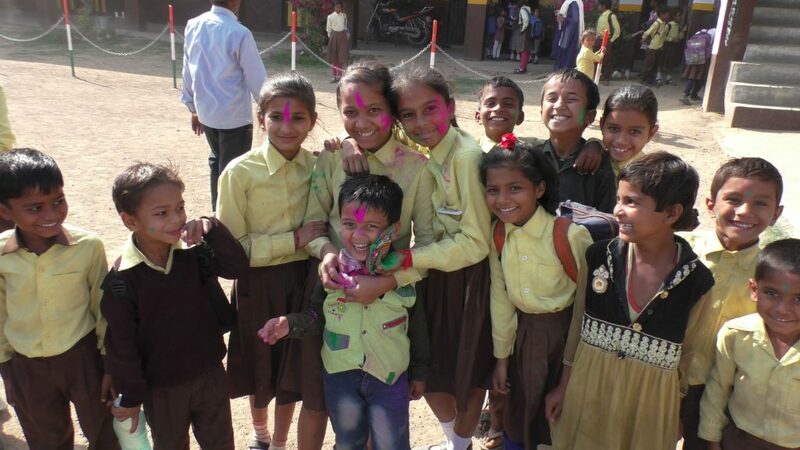 So, after school one day they played Holi; which means throwing colors at each other. Shortly after the Holi Festival, the examination schedules were handed out to the students and they started preparing for the final exams this semester. In April, Ebenezer School has recruited more students for the next school year. Because the harvest is a job that the whole family participates in, the school has a slow start-up, and children tend to start coming to school after the harvest-time is over. The high temperatures, up to 47 degrees, has also caused the low attendance. Despite that, 60 new students are now enrolled. The goal is to have 100 new students enrolled by July, when the school reopens after the Summer Break. The “door-to-door”-visit campaign will be done again very soon, so that more people can hear about the help they can receive from Glocal Aid. After an intense winter and spring, the results and the report cards were all ready to be handed out in the beginning of June. The school put together a celebration for all the students and invited parents to watch as their children received their annual report cards. Even though it was the time for harvesting at this point, a lot of parents managed to come. The numbers of people showing up, reflected well on the awareness the school has in the community. After this, teachers and parents for each grade met, and the teacher did a presentation of each student and how they’ve been growing and learning. 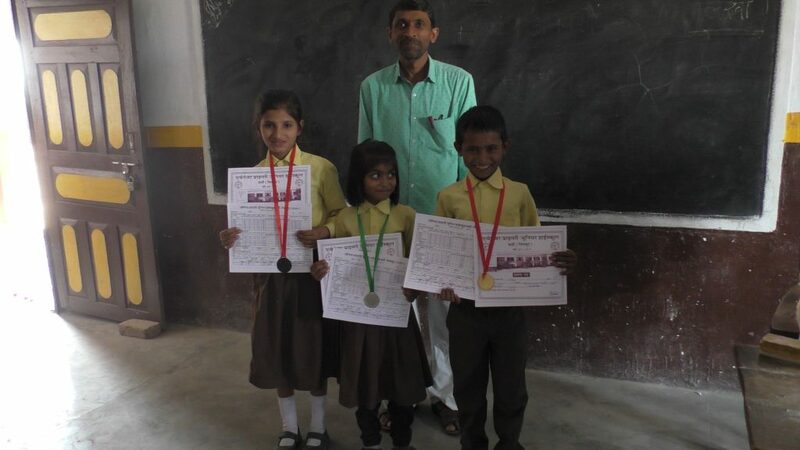 All the children then had their annual examination report card given to them, a medal, and a memorabilia according to their positions. 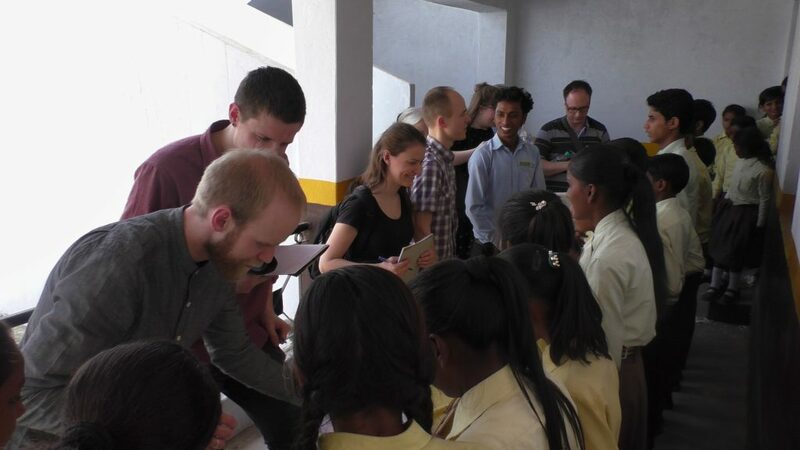 In the end of March, a team from Norway came to visit Ebenezer School. The staff and the student were all very excited about having visitors. They planned, practiced and worked a lot to put together a great welcome for the guests. 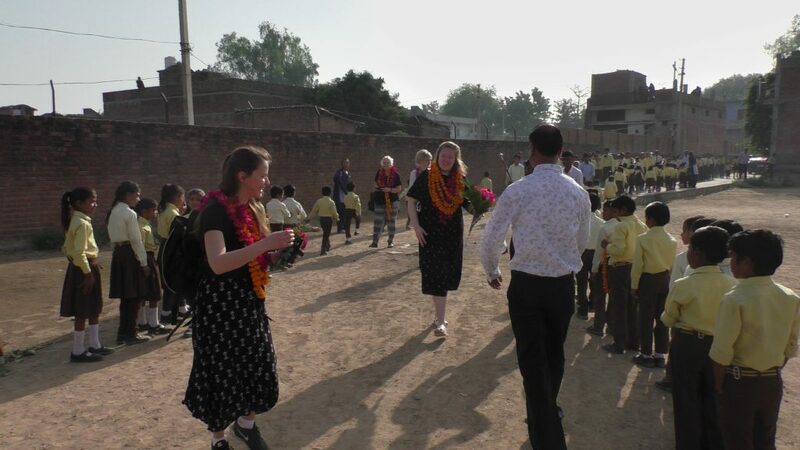 When they arrived at the school they were given flowers and a welcoming speech. Followed by a short meeting between Daniel Matthiesen (who´s in charge of Glocal Aid) and the headmaster of the school, before the students did their performances for the guests. Students from our kindergarden were there too and students of all ages danced and sang. 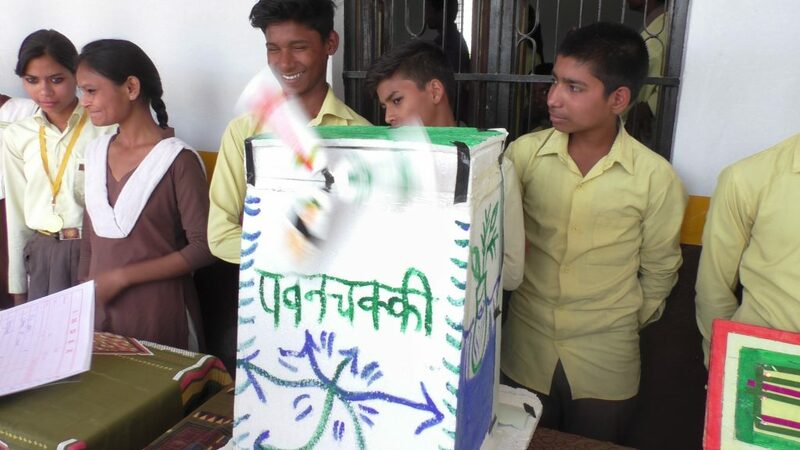 When this was done, the students were given prizes for different tasks throughout the past year, such as assisting the teacher keeping order in the classroom, school captains and the students with the best results. Lastly, medals and certificates were given to class monitors, two in each grade. The students were eager to hear from the guests and so they were asked to say a few words of encouragement and wish the students ´good luck´. Daniel Matthiesen shared about the importance of studying hard and being a good citizen, and reminded them that they are the next generation. 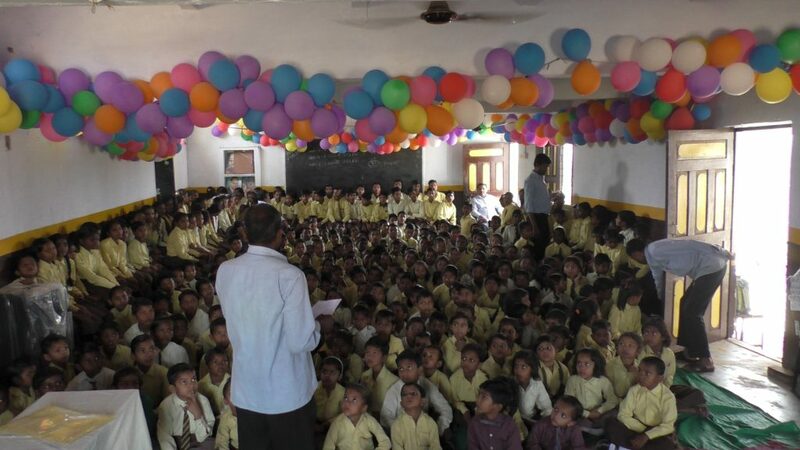 The future of India is in the hands of the young students, like Nav Jeevan and Ebenezer School. If these young people can be molded and lead in the right direction, the nation can be sure to have a healthy and prosperous future. He also reminded them that there are people working for them, putting down time, energy and financial support, to make sure they can have a bright and meaningful future. As a ´thank you´ to the guests for coming, they were all given a token of love and appreciation. Special thanks were given to those who work continually for the children and their staff. Ebenezer School can reach out helping hands, provide good education to needy and underprivileged children in and around Karwi, because of the practical help and the resources they are given from their partners. Around the same time that the team from Norway visited, the students were presenting a science project they had been working on. Everyone went around and looked at the different projects on display, and for fun, the guests got to be a part of the grading. To mix it up a little, because several of the guests were teachers, they divided the students into classes to do some teaching. Both the students and the visitors seemed to enjoy that a lot. Because so many different things were happening at the school at the same time, the staff made a time table so that everyone were evenly spread out and everyone got to participate in each class. Mangal lives near the school area and lives there with his three sisters and his parents. His older sister Ritu Pandey graduated 10thgrade in her public examination with a score of 74%. All the children in Pandey family are going to Ebenezer School and they’ve been a part of the ´benefit scheme´ since it started in 2016. Their father is an old man and works as a plumber. With his salary, he wouldn’t be able to cover his children’s education on his own. For their dad to see his kids educational level exceed the way it has, he is very thankful and happy that all his kids had the chance to go to Ebenezer and receive help and support from Glocal Aid.